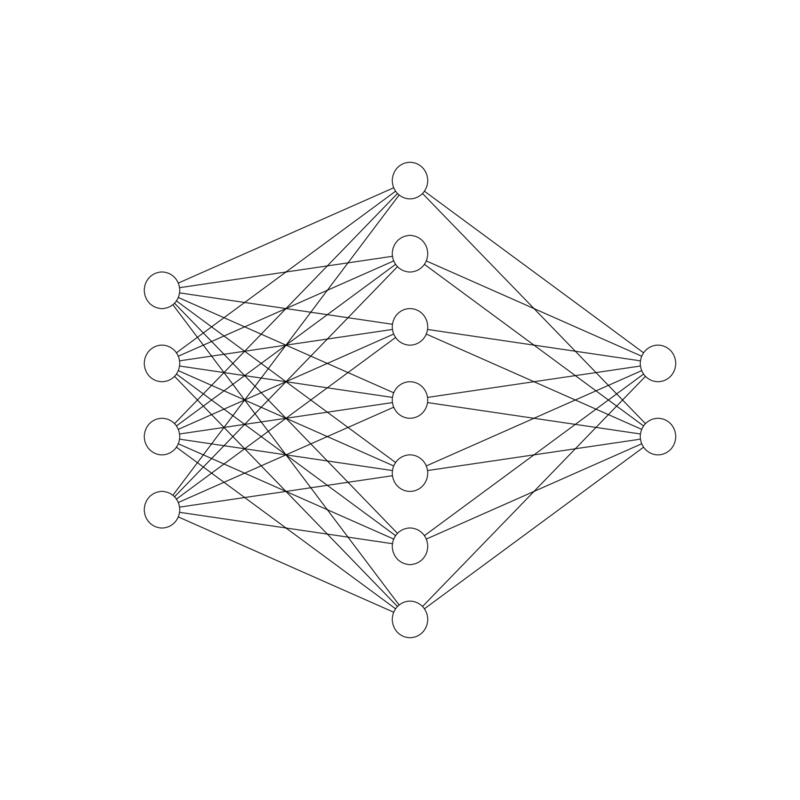 Draw a neural network diagram with matplotlib! 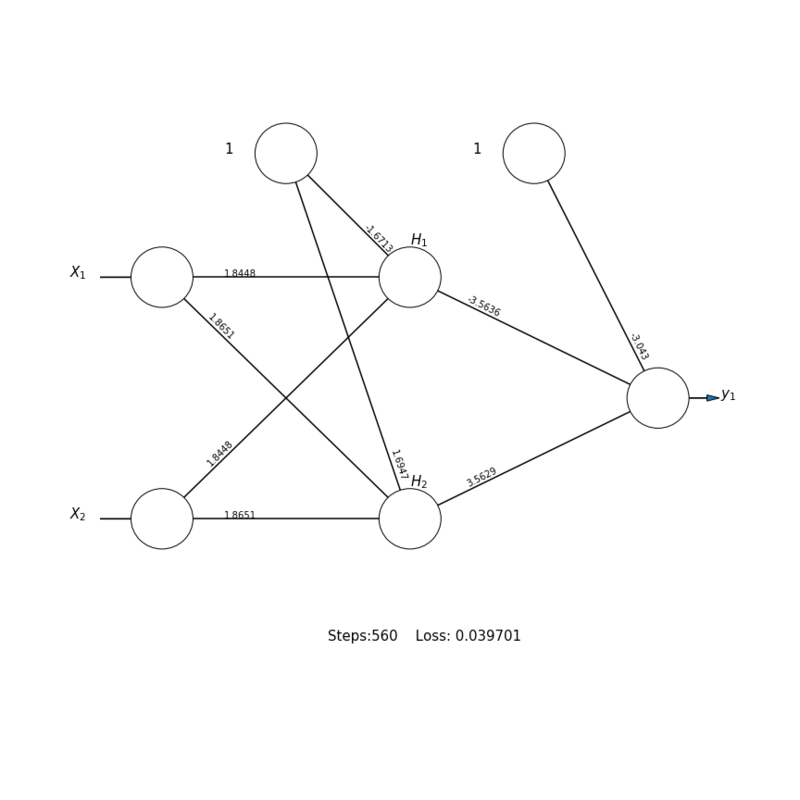 Draw a neural network cartoon using matplotilb. layer_top = v_spacing*(layer_size - 1)/2. + (top + bottom)/2. layer_top_a = v_spacing*(layer_size_a - 1)/2. + (top + bottom)/2. layer_top_b = v_spacing*(layer_size_b - 1)/2. + (top + bottom)/2. Thanks for the example @craffel! In case anybody else wants a quick preview, here's the image the code produces. @bamos and thanks to you for the example :)! How can I write something into a neuron? @craffel Very useful, thank you! @kanban1992 I wanted to do the same, so I forked this and added node annotation functionality. marked along the edges (using plt.text with orientation). 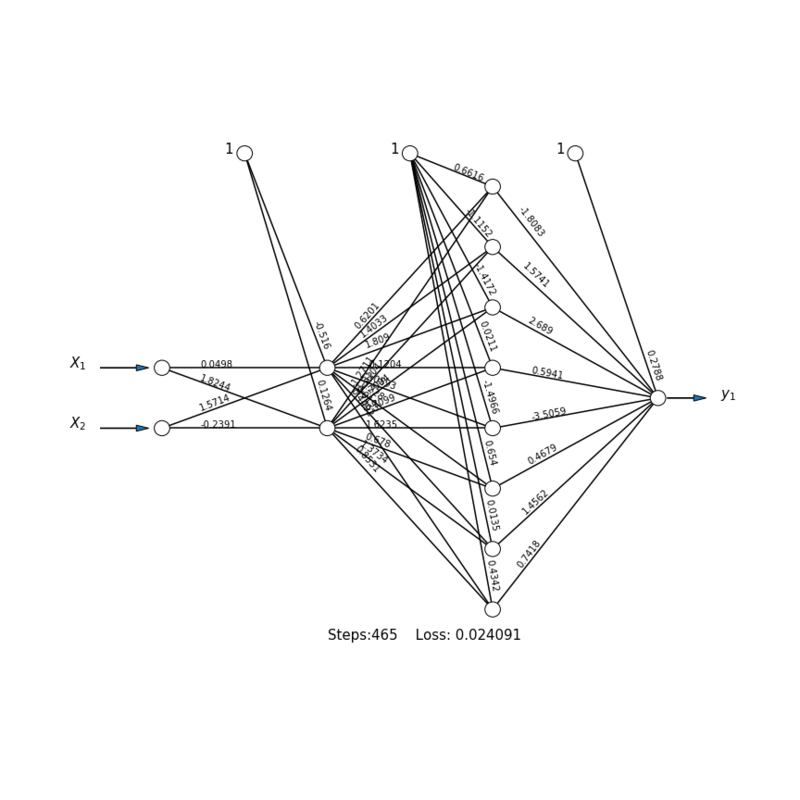 Finally, add the information (n_iter_ and loss_) below the topology. - coefs_ :(list) length (n_layers - 1) The ith element in the list represents the weight matrix corresponding to layer i. - intercepts_ : (list) length (n_layers - 1)The ith element in the list represents the bias vector corresponding to layer i + 1. 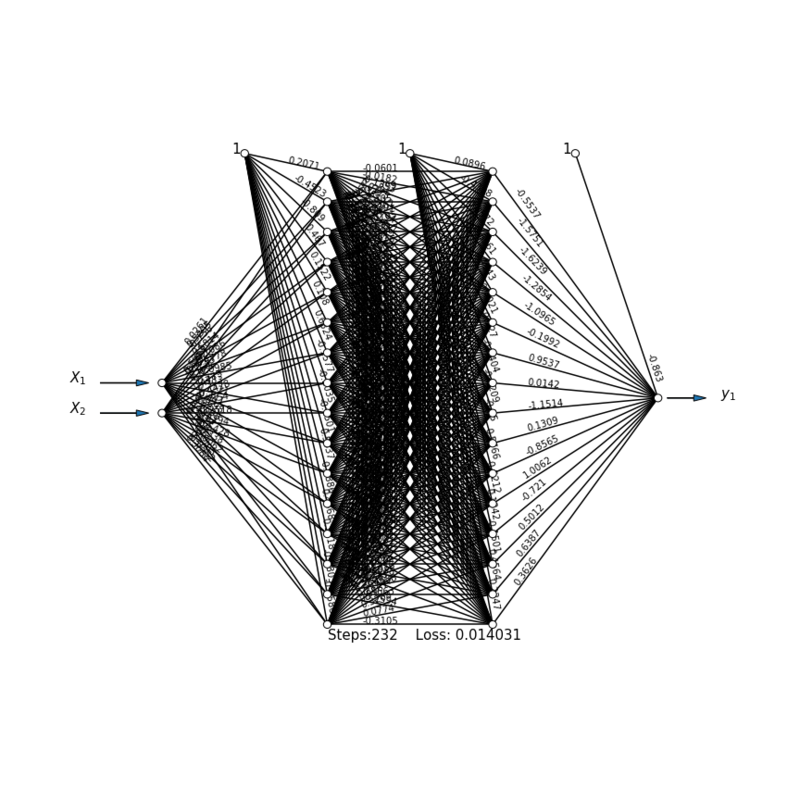 - n_iter_ : (int) The number of iterations the solver has ran. - loss_ : (float) The current loss computed with the loss function. layer_top_0 = v_spacing*(layer_sizes - 1)/2. + (top + bottom)/2. layer_top_0 = v_spacing*(layer_sizes[-1] - 1)/2. + (top + bottom)/2. The result hadn't been tuned to the best. 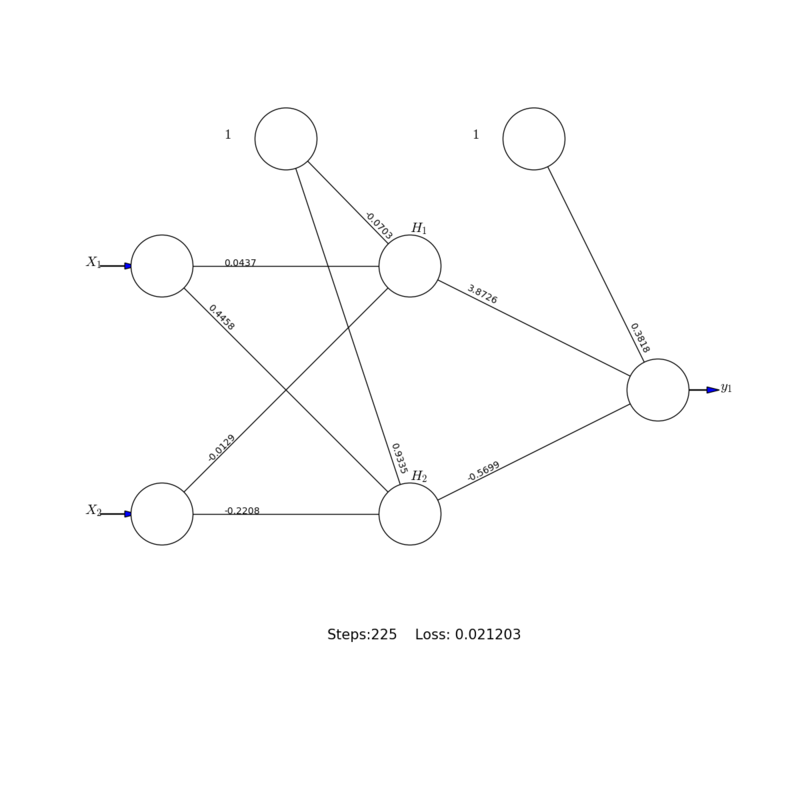 Only for demonstrating the plotting network topology using sklearn and matplotlib in Python. You can tune the parameters of MLPClassifier and test another examples with more inputs (Xs) and outputs (Ys) such as IRIS (X1--X4, Y1--Y3). Btw, does this work for both Python 2 and 3? I'd like to suggest specifying it in some kind of comment or a shebang. Suppose that it can work in Python 2 and Python 3. Here, I employ Python 2.7 to test it. You can try to execute it. You also can modify the X_labels to be the real names (such as from 'X_1', 'X_2' to 'Sepal.Length', 'Sepal.Width'and from y_1, y_2, y_3 to 'Setosa', 'Versicolor' and 'Virginica' by adding some plot.text() commands. @ljhuang2017 do you have that file available somewhere else? looks like the formatting got kind of borked. @ljhuang2017 this looks very nice. Could you just make another gist out of it? Just edit your comment, copy your code and paste it in a new gist. This way people can use your code without the need of reformating it. I don't think people are notified when you @ them on Gists, and @ljhuang2017 doesn't have any contact information. Did anyone get their code working? Can you post it as your own Gist if so? Many thanks for the script! Thank you for the code, saved me a lot of time drawing it myself.